Watts: 75 watt bulb max. 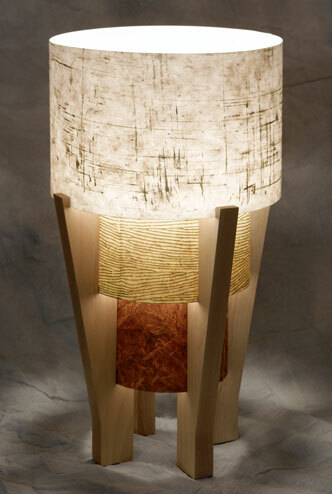 This lamp features metallic gold brushstrokes on cream with beige and olive woodgrain, and a deep textural burnt sienna. The 20" version is shown here with a maple base. This style is limited in quantities available.